A paddle sailing epiphany on the way to Morar. 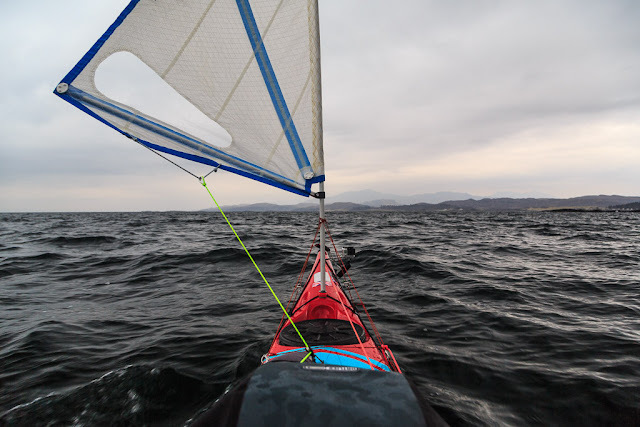 On leaving the Arisaig skerries the wind veered to the SW about F3-4. 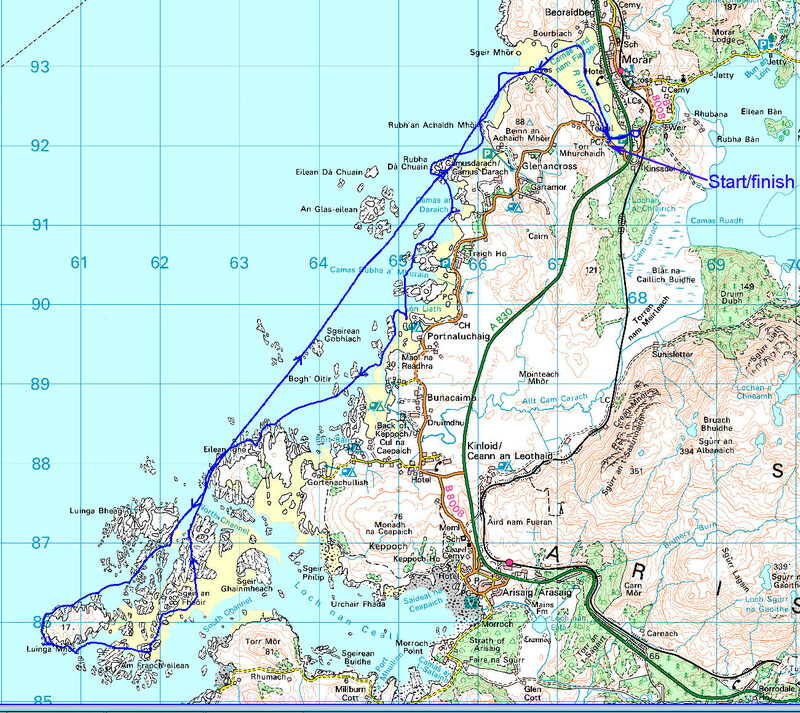 We now faced the joy of a 7km downwind paddle back to the mouth of Morar Bay. 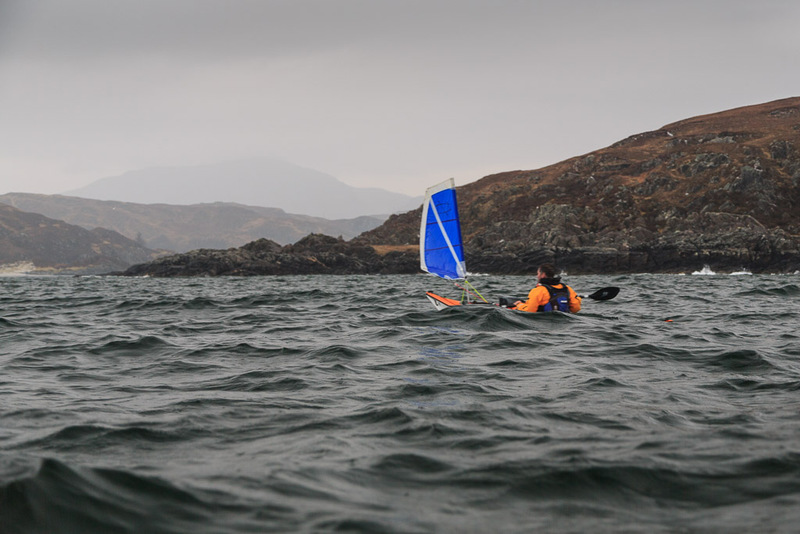 This was payback time for our hard upwind paddle earlier in the day. 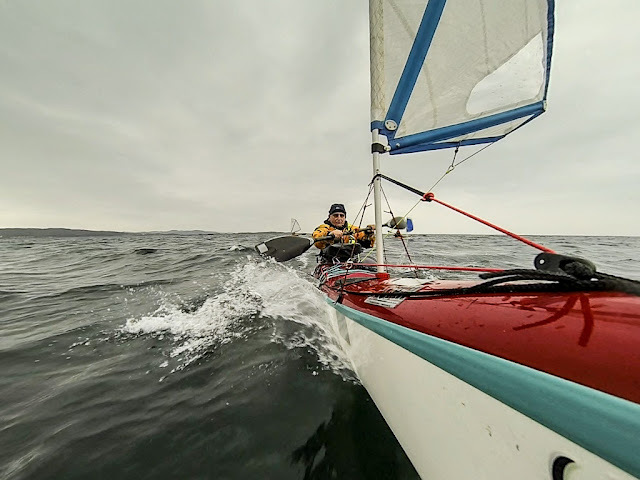 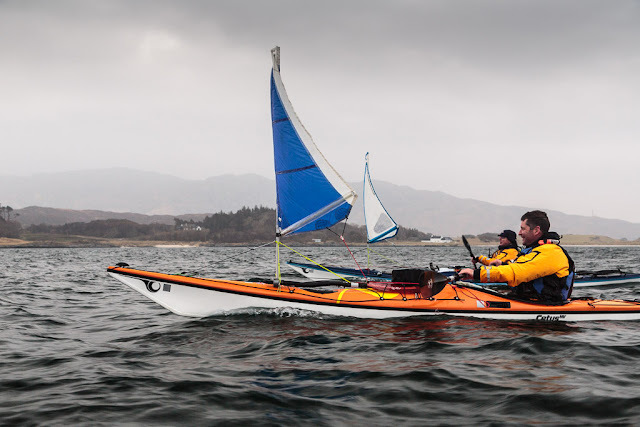 "The major thing for me when considering whether or not to take up sea kayak sailing was that the advantage had to outweigh the faff of rigging a sail and the extra clutter on deck. 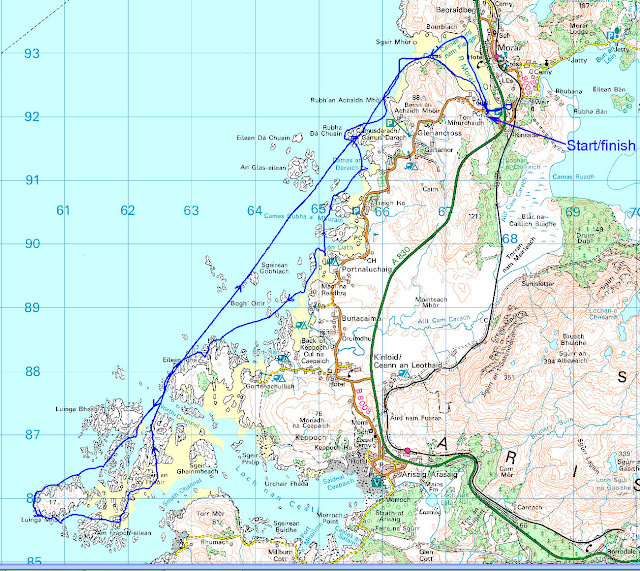 As a professional seafarer, loose bights of line really trigger my OCD! Safe to say, the advantage (and sheer fun) most definitely does outweigh the faff/clutter. Oh, and don't listen to anyone claiming that sea-kayak sailing is somehow "cheating" (cheating what exactly?!) 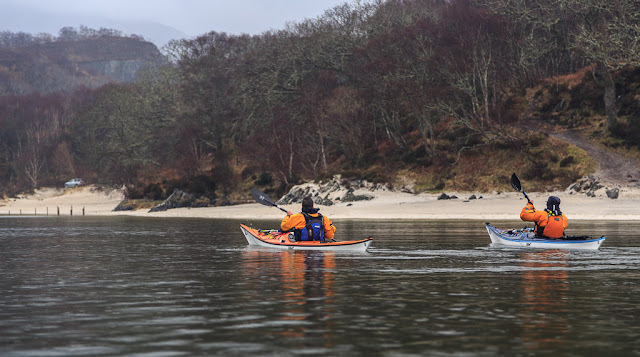 - these will likely be the same folk who buy a kayak with hull speed as a major consideration....."
..entered the sheltered waters within. 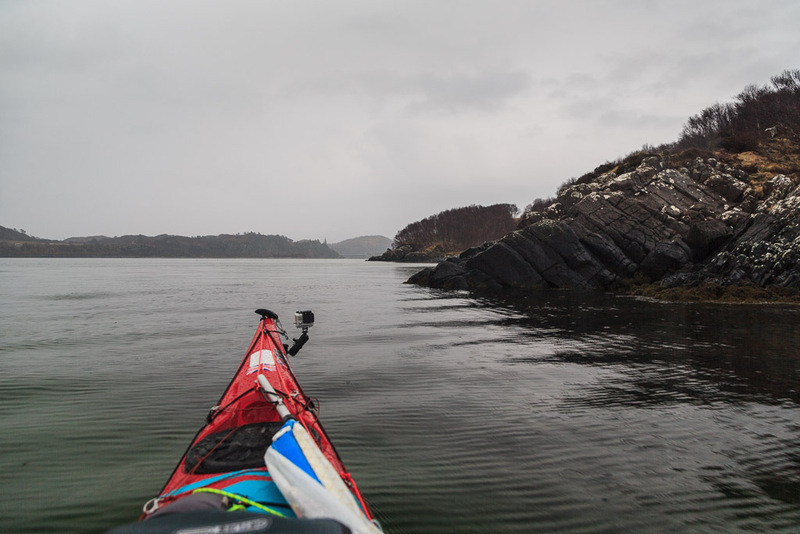 It was nearly the end of our four day trip round the lands of Moidart and the Arisaig skerries. 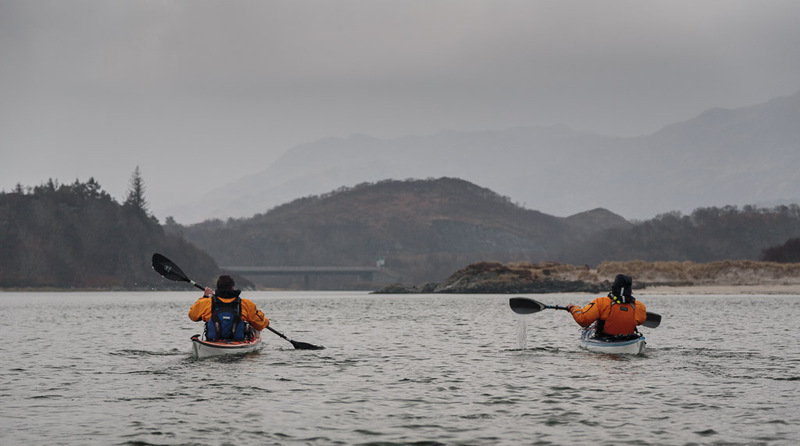 We paddled slowly up Morar Bay which was backed by mysterious mountains disappearing into the mist. Our trip ended on the white sands of Morar.